Turns out, I didn’t need to spend very much money. Ahem. It’s been a long couple of months. Bad weather, bad news, grim mood, no enthusiasm for much of anything. 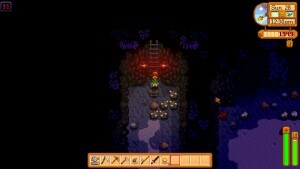 Stardew Valley – I never played Harvest Moon or its ilk but for some reason I decided to jump on the hype train when this came out, and I have not been disappointed. 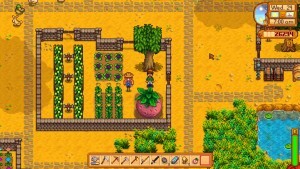 You play as a farmer, struggling to get your inherited run-down farm up and running. You plant crops, you raise animals, you sell the vegetables and eggs and milk and crafted products for money, you collect things to restore the dilapidated town center, you delve into the mines (too deeply, perhaps) for more raw materials and artifacts, you earn friendship with your new neighbors (and perhaps marry one of them)… there’s a lot going on, is what I’m saying. It’s a very casual game in most ways but you have to pay attention to really prosper. Guild Wars 2 – It’s an MMO. It’s published by the bastards who shut down City of Heroes, so yes, I have moral qualms about giving them my money. But it’s as good of an MMO as I can find at the moment. I’m not really into it as much anymore but it scratches that particular itch. Diablo III – Until they release a proper HD patch for Diablo II, this is where I’m getting my isometric-perspective monster-smashing fix. It’s repetitive, sure, but sometimes it’s not about the novelty or the challenge, it’s just about making horrific demonspawn go “sputch” in satisfying ways. Catan Universe – This is the second computerized rendition of the Settlers of Catan board game that I’ve tried. The first one is… buggy, to put it mildly. This one is very German and very very pre-release quality, but hey, you can play with/against friends and/or against the AI, and it’s a solidly playable experience. If you can’t get friends to your house to play around a table, it’s the next best thing. Overwatch – I haven’t really played many “shooters” this past few years. Sometimes I’ll sign into one of the first two Borderlands games for a bit but I think I’m just out of touch with that playstyle. I know I started out playing Doom & Doom 2 quite well but it’s a whole different world now. And while Overwatch tries to match people up “by skill level,” I’m almost always the least-skilled person in any given match. I don’t regret the purchase but I’m not compelled to play, either. I probably need to find a group to play with; that was always most of the fun in the old Doom/Quake/UnrealTournament days, after all. Hmm. …yeah, that’s pretty much what I’ve been playing the last few months. Boy howdy is this a Niantic game or what. This is Ingress with a thick layer of Pokemon slathered on top. I’m not saying that’s a bad thing, but we should be clear that Pokemon GO is more the former than the latter, at least at this point. The in-camera effect is surprisingly effective! (Sorry. Couldn’t resist.) I mean, it’s far from perfect but if you’d shown me video of someone playing this game ten years ago, I’d have considered it nigh-unattainable science fiction. I won’t say it’s convincing, but it achieves the right level of immersion and that’s the key part of it, as far as the game is concerned. You have to either find out online how to capture a Pokemon with your Pokeball, or get lucky and figure it out, because nothing in the terse tutorial tells you to swipe to throw the ball. This is unlike a modern Pokemon game because so far as I can tell, you can’t trade and there are no battles of the type any Pokemon player has become accustomed to (hence nothing actually being “surprisingly effective”). It remains to be seen if this remains to be the case, and how much of a downside it’ll be. This looks very like an iteration of Ingress, where you have to team up to take key points on the map, etc, etc. Which is… what turned me off from Ingress because there was zero incentive for solo play and a huge requirement to form some kind of mid-to-large size team of fellow players. If solo play in Pokemon GO is similarly discouraged, I’m out. A “Pokestop” (low-key supply station) near my work is based on a window mural from an aquarium supply store. Too bad that store is gone, and what’s on that window now is the name of the insurance company at that location. There seems no way to report these inaccuracies, unlike in Ingress. Presumably that will be remedied at some point. I was a “smurf” in Ingress, I’ll probably be on the blue team in this game as well. Convince me otherwise if you can. Having wandered away from Guild Wars 2 lately, I dabbled with Diablo III for a while until someone sent me a gift on Steam: Stardew Valley. It’s really working for me. I can farm crops, I can raise animals, I can craft things, I can arrange my domain how I please, there are goals to meet (both “kill X in the mines for a reward” and “bring one each of all these things for a reward”), and some days it’s nice to just run around the farm cleaning up debris. And sometimes the game surprises you. In the upper left corner you’ll note that I have a duck and a bunny, named Plucky and Harey respectively. (Chickens are named Henri, Etta, Clucky, and so forth.) I am bad at pet names, let’s be honest. 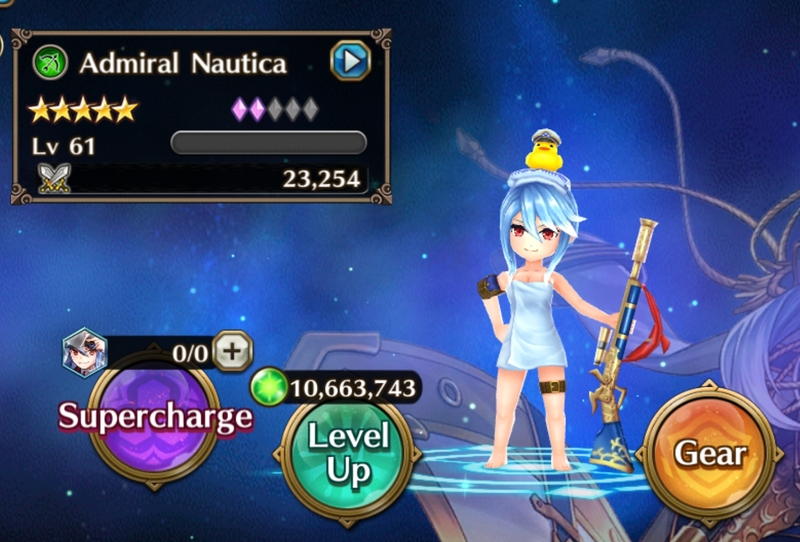 Now, I’m not min-maxing my gameplay. I’m just… having fun. 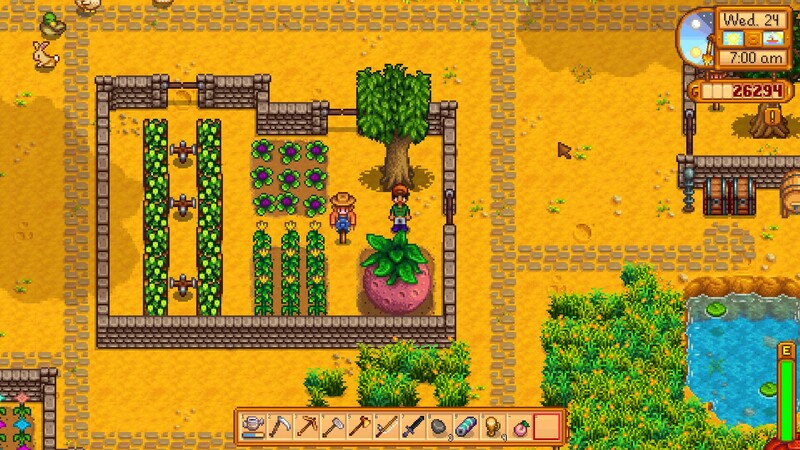 If you’re a casual gamer, Stardew Valley may in fact be an ideal game for you. Possibly. Of course, every now and then the game gives you the middle finger. If you’re on the fence about trying it out, get in touch. Maybe I could be convinced to send it as a gift. That’s how I got my copy, after all. (I turned around and bought copies for Kyla and my daughter, so paying it forward is accomplished.) It’s only $15, and money well spent. I canceled my WildStar subscription this morning. Admittedly, most of the reason for this comes down to finances: It’s a tough time of the year, this month’s tighter than most, and so forth. Fifteen bucks for a game I rarely play is fifteen bucks I could put toward… food, let’s say. To be fair, WildStar is a great MMORPG-type game. It’s inventive, it’s colorful, it’s clever. It features the best housing system I’ve ever seen in a game. I love the “telegraph” feature, which lets you know exactly where a given power is going to strike. (Those of us who cut our MMO teeth in City of Heroes know the pain of having to guess where that cone AoE is going to land.) The worldbuilding detail is incredible. However, what a lot of people love about the game is what I don’t love at all: WildStar is MMO gaming on Hard Mode. There are three computer game styles I love. Shooters like Quake and Unreal Tournament help me unwind after a stressful day. Realtime Strategy games like Age of Empires give me that wonderful experience of building an army and obliterating my enemies. And there are turn-based games like the Heroes of Might and Magic series. The long-awaited fourth installment of “HoMM” makes a few significant changes to the gameplay that made the previous titles so successful, but keeps intact the best parts of the series. Anyone who has played either Heroes 2 or Heroes 3 will spend a fairly short time adjusting to the changes in the new game. The most significant gameplay changes are the new skill system and the fact that heroes and creatures truly work together interchangeably now. You can have more than one hero in a group, or you can have a group without heroes at all. These creature-only groups are limited, but they make great decoys. Having heroes take active part in combat takes getting used to, but after a while you realize that this is how it should have been done all along. Your opinion may differ if you’re a longtime Heroes player, but for my money this is the way to go. 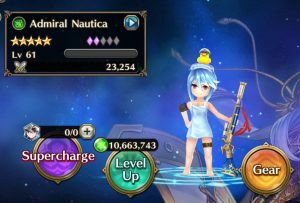 What takes more mental adjustment for veteran Heroes players is the new skill system. It’s complex. A hero that starts out with one title can be built to wear another with the proper progression of skills. Take my advice: If you buy this game, also buy a copy of the Prima guide just so you have a handy set of detailed charts. Other changes include a totally new visual style, wandering creature stacks, caravans for creature transport, daily creature generation and a few new types of map structures. Oh, and as of this writing the game has no networked multiplayer capability. Hotseat is an option, however, so our household is okay. Heroes IV is a splendid game overall. The only minor quibbles I have right now are the disabled multiplayer mode due to be fixed in a future patch release and a seemingly slow and difficult “early” game. In other words, when you’re starting out it takes forever to move around and you tend to have difficulty patrolling your area effectively. I haven’t completed any of the campaigns or larger maps yet so this may not turn out to be an issue in the long run. If you want a game that looks great, is mentally stimulating and terribly addictive, pick up Heroes of Might and Magic IV. I highly recommend it.